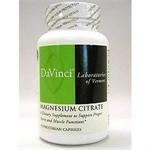 A dietary supplement to support proper nerve and muscle functions. * Magnesium also aids the body in maintaining proper pH balance, healthy blood pressure and normal body temperature. * It is involved in carbohydrate and mineral metabolism and assists in calcium and potassium uptake.